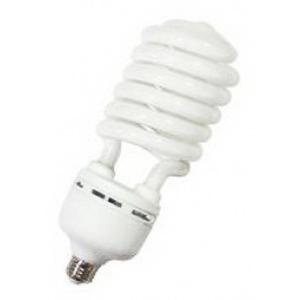 Halco Lighting ProLume® 105-Watt T5 Spiral mogul compact fluorescent lamp offers 7000 initial Lumens for crisp light output. It has color rendering index of 82. Lamp with 5000K color temperature rating radiates natural light to the surrounding. Lamp has voltage rating of 277-Volts. It measures 11.25-Inch x 4.02-Inch Dia. Lamp has average life of 10000 hours. It is ideal for use in warehouse, gymnasiums, high bays, low bays, residential and commercial. Lamp is UL listed.